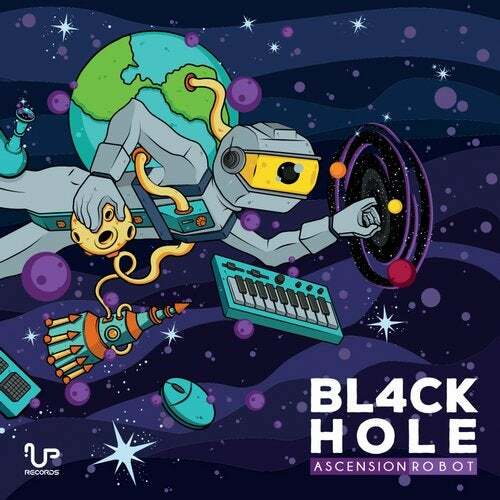 UP Records presents, 'Ascension Robot', the 3-Track debut EP of 'Bl4ck Hole' aka 'Luiz Rafael Arruda' of Manaus, Amazonas, Brazil. 'Bl4ck Hole', is a new member of our Brazilian crew at UP Records; we're proud to have him onboard, showcasing a decent example of up and coming talent from the depths of the amazon basin. 'Rafael' has great knowledge of musical composition and this shines brightly upon each unique track within his debut EP 'Ascension Robot'. Be prepared for some groundbreaking basslines and bombastic hooks!